Dr. Amber Lynn Diaz is the Director of Educator Preparation Services, the Certification Officer, and an Assistant Professor at Texas A&M University-Central Texas. 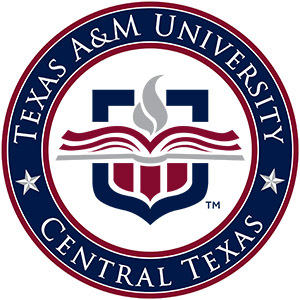 She received her Doctorate in Educational Administration from the University of Mary Hardin-Baylor and a Master of Education degree in Educational Administration from Texas A&M University-Central Texas. She obtained a Bachelor of Science degree in Elementary Education from the University of Wyoming with a minor in Multicultural Education. Prior to coming to A&M-Central Texas, Dr. Diaz spent 15 years in public education. She was an elementary classroom teacher, an English Language Learners teacher, a Response to Intervention Supervisor, and an Elementary Administrator in Killeen ISD. She served 2 years as the Director of Intervention & At-Risk in Copperas Cove ISD serving a high population of at-risk youth. In this position, Dr. Diaz was responsible for 504, Dyslexia, At-Risk, Bilingual & ESL Program, Response to Intervention, and Guidance Counseling. Dr. Diaz also is a professional consultant and provides Professional Development Academies across the state of Texas.